CREEPS and I WASN’T IN LOVE WITH YOU, I WAS JUST REALLY DRUNK will be out of print in their current forms. I WASN’T IN LOVE WITH YOU, I WAS JUST REALLY DRUNK was made for the Ladybox Books launch/release party. UPDATE: All zines have been sold! There are currently 2 copies 1 copy of CREEPS and 3 copies 1 copy of DRUNK left on hand. Head over to the z i n e s p a g e for details. 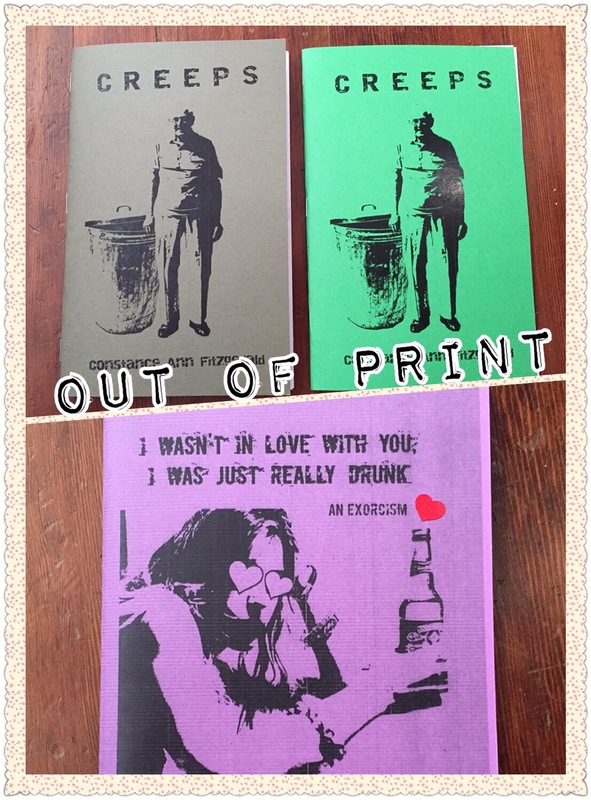 Posted in zinesTagged creeps, final print run, i wasnt in love with you i was just really drunk, out of print, Zine, zine machine, zine queen, zinesBookmark the permalink.